And for me, I belong to a “Posse” of a few women who understand me and are there for me. A “Tribe” of support that I love so much. This entry was posted in Random and tagged church, friends, friendship, God, hope, Jesus, posse, relationships on February 25, 2016 by Cate B. A fellow blogger started posting “if we were having coffee……….” on her blog site now and then. She starts off by stating the above and goes off from there about what you would possibly talk about. I thought it was such a great idea. With that in mind, I actually made a pie yesterday. A savory pie. A Chicken Pot Pie as we call them in the USA. So, if you came to my house, I would set a place for you and cut you a great piece of this pie and I would tell you how happy I am to have you with me. I would also tell you how I tend to be a homebody and rarely make the initiative to get together with people that I love. That is a downfall for me. But when I get together I just love it and reflect back on what a great time I had and my heart gets encouraged by the company. I would pour you another cup of coffee or tea and ask how you have been. I really want to know. And how about those Kansas City Royals? I would not bring up politics and hope that you wouldn’t – that just gets me in a tizzy! More pie? Then I would tell you about my grand daughters that I care for while the kids attend University. I would tell you that I love being a part of their upbringing and giving them a safe and secure second home. I would also tell you that it is hard and some days I feel like I’m not doing anything for the greater good. I know you would comfort me and encourage me and I would be looking forward to more times like this together with you. So, next time I may just make a sweet pie. So much more fun with coffee. Thank you for coming by……. 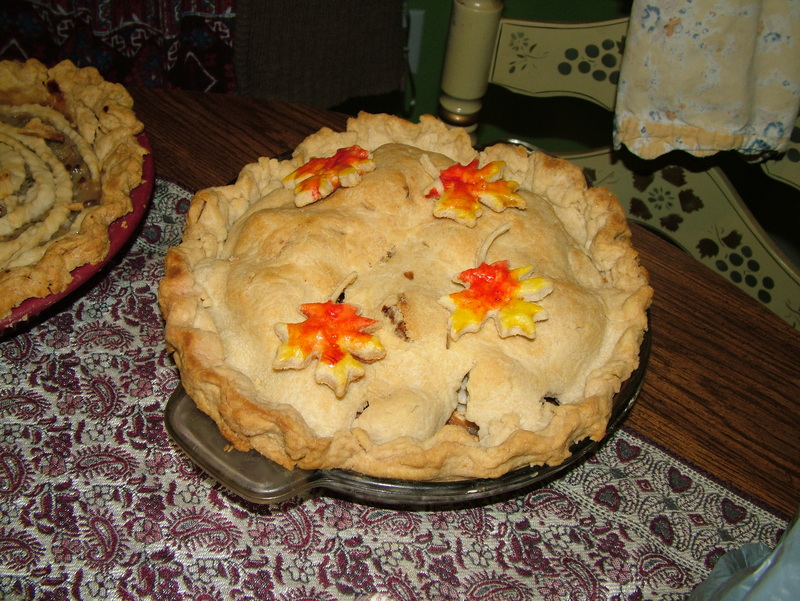 This entry was posted in Random and tagged chicken pot pie, coffee, comfort, encouragment, Food, friends, friendship, pie, savory pie on November 4, 2015 by Cate B. We had a great time with Friends this weekend. We drove about an hour to a town that has a population of 159! Say what? Yes, 159. That’s one hundred fifty-nine people. They have a restaurant that is famous for it’s pie. The lunch was also good. But best of all getting together with Friends is the whole pie! We went with a couple from The Burg and met up with a couple from Springfield, MO. Now the Friends have more Friends. I love to connect people. After we left the booming town of Collins, with a population of 159, we took the old highway and enjoyed nature! The wildflowers were in full bloom and I was so caught up in the enjoyment of The Creator that I did not take so many pictures. Not to mention the two turtle crossing the road were left behind (much to their delight I’m sure). Next stop, Osceola Cheese store! Samples galore of all kinds of cheeses. A must stop if you find yourself in western Missouri. Without further ado, here are some photos. 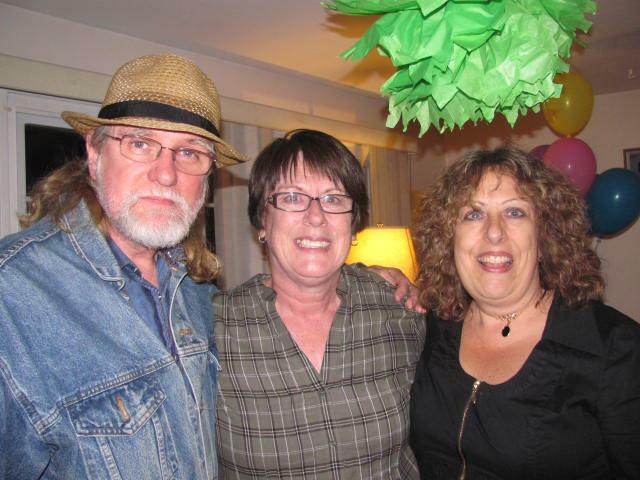 Hmmmm, I’m a Jersey Girl……. This entry was posted in Life in The Middle, Photo Journey and tagged America, cheese, creation, Creator, flowers, friends, friendship, mid-west, Missouri, nature, pie on August 30, 2015 by Cate B. Prior to moving to the mid-west we lived in a beach community on the east coast. If it weren’t for the beach I do believe the county would have been more united and cosy and family-like. A true community. But tourism ran many residents lives, and I can’t blame them. When you start making money on your historical home as a Bed & Breakfast or your small business of selling anything from surfboards to ice cream…… well, I can see why it turned that way. Don’t get me wrong. It was a privilege and a blessing to live there for twenty plus years. We made good solid friendships and the kids grew up in a small town atmosphere where most people seem to know who you were. What I want to focus on is a small local business we fell into one day back in 1994. I say “fell into” because once we crossed the threshold they made a way into our hearts as well. Stuck for life. We had moved to this lovely area when our daughter was a senior in high school. They fact that she was more than willing to leave her past three years of high school behind and begin again in a another school was proof enough that we were meant to be there. After a few days of her school year she came home and asked me to take her to a small music store to buy guitar strings. Over the bridge we went and found this little “mom and pop” store front in the owners home. It helped that the young man working there was cute and adorned bright red hair. I still don’t know who he was or his name. The owners of this business were also employed in the school district we were a part of. 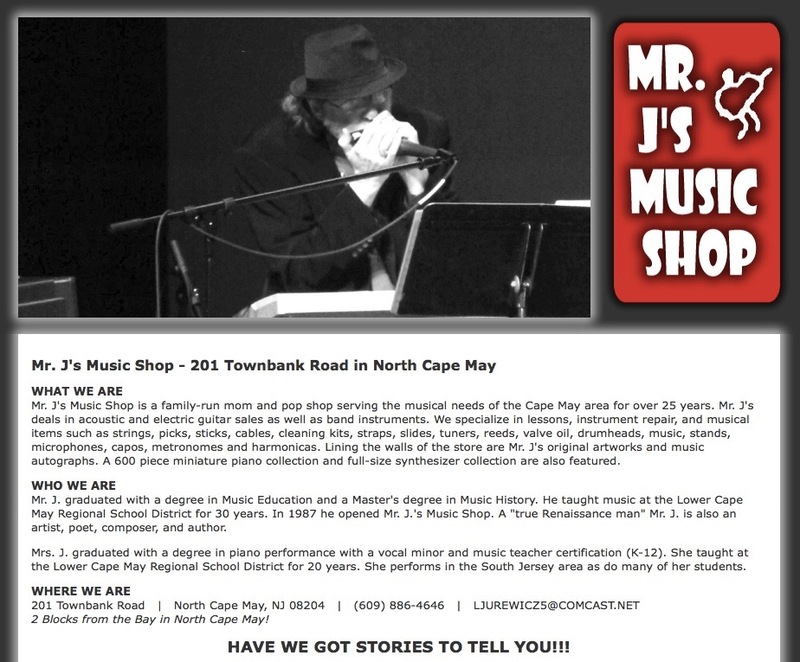 Mr. and Mrs. J. Mrs. J taught at the Junior High School – music of course. And Mr. J at the High School, also music. Well, our daughter talked about Mr. J often. His kindness to her is what pulled her in. I, a concerned parent, had to meet this man whom my daughter seems to be quite taken with. You know what I mean – I was cautious. What can I say. 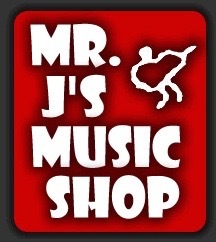 When I met Mr. J for the first time, in his store, he had me. He was a rare human being. He looked like a hippy (which was a plus for me) and when he opened his mouth the kindness of God came out. Let me tell you how. He had a way of saying just what a person needed to hear. I remember one warm summer day I had put on sandals. I have always been self conscious of my feet. They are long and I always thought rather ugly. I walked into his shop that day with thoughts of covering my feet up and he says, “Mom! (always called me mom) You have beautiful feet! You should never cover them up!” I have heard him over the years encourage so many people of all ages with similar things. Our daughter became good friends with their oldest son and we became regulars of his shop. 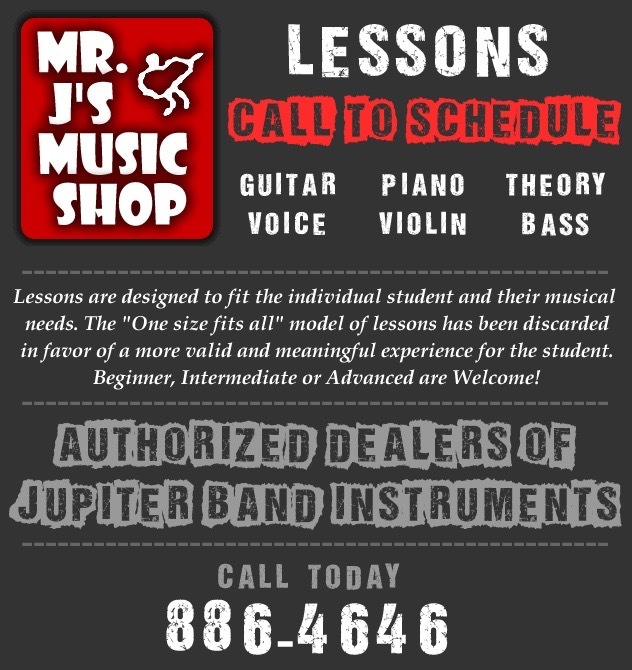 We bought strings, guitars, basses, keyboard, cords, picks, tuners, lessons, etc. over the years. He handed me a harmonica one day and said, “You need this, Mom”. 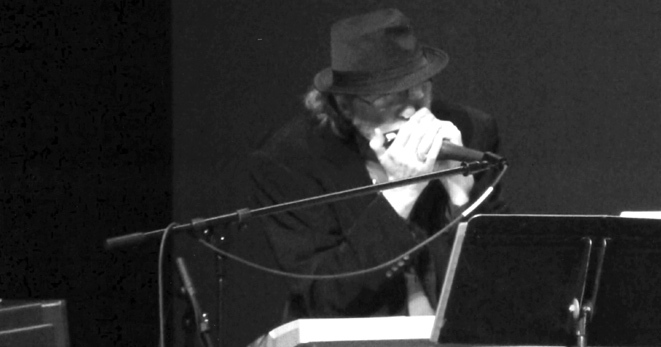 I walked out with a harmonica. Our two youngest sons took classes in school with both Mr. and Mr. J and excelled. Our youngest learned guitar from their son. I remember picking him up after his lesson and peeking in the room to find the two of them rocking out and jamming on their guitars. Their store was magical. You could walk in there and find Mr. J with a captive audience telling one of his many stories of his colorful life. The time he met James Bond (Sean Connery) or James Michener in the small town he grew up in. Or his stories of Linda Ronstadt and countless others. Oh, and his love for Tom Waits. I could go on and on about Mr. J and Mrs. J. Don’t forget the Mrs. J! She even let me assist her in her strings/violin class in Junior High (Lord knows I couldn’t play that thing!) – it was an honor and a privilege. It’s because of Mr. J that I play the Ukulele! Well, we just saw them on our trip back east a couple of weeks ago. They are well and retired from teaching and closing the store down. It is a good time for them and a sad time. The end of a good thing for the community and themselves but the beginning of a new chapter of their lives. You see, they were teachers to our family and we respect them and always enjoy seeing them. But one day an incident happened and we became a part of them. Mr. J suffered an ailment and we were privileged to pray for him through this ordeal. When troubles come upon us it is an opportunity to get close. To be real. To become a part of another. They are stuck with us. And when our family suffered the loss of our daughter they were there. Their son, in California, was our ears and eyes of what was happening out there (see my post Our Darkest Day) . They have been good friends. We only get to see them once a year or send a note back and forth now and then, but this kind of relationship runs strong and deep. I want them to know that. I want the J’s to know that their faithfulness and kindness to so many kids and their families has not been in vain. They have brought the power of music, poetry and art to so many. We will all miss their store and all the fun times that happened there. But I am confident that if I stood in the middle of the small shop area I could hear the whispers of all the stories spoken over the years. I’m sure I could hear the melodies written and taught to so many. Thank you to Mr. and Mrs. J for all you have brought to our family! This entry was posted in Random and tagged faithful, friendship, God, hope, mom and pop, music, poetry, small business, teachers, whispers on June 29, 2015 by Cate B.